Coming up with Valentine’s Day gifts and activities can sometime be a challenge,so I decided to share my plans for the holiday! 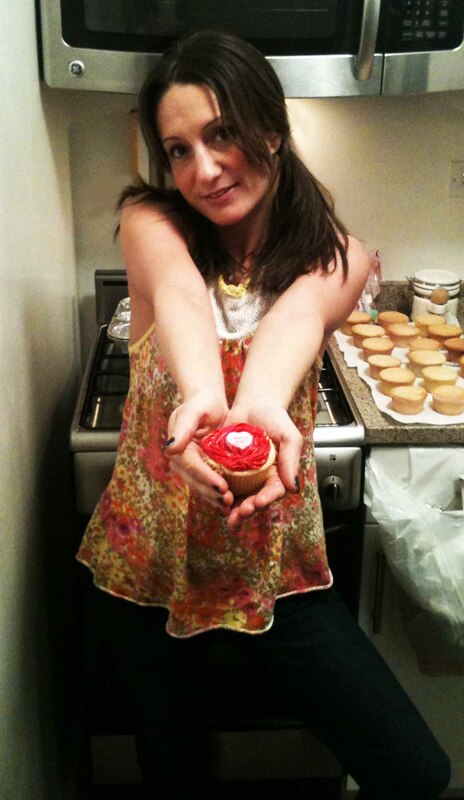 This year I am making the most perfect vanilla Valentine’s Day cupcakes for all the special people in my life. 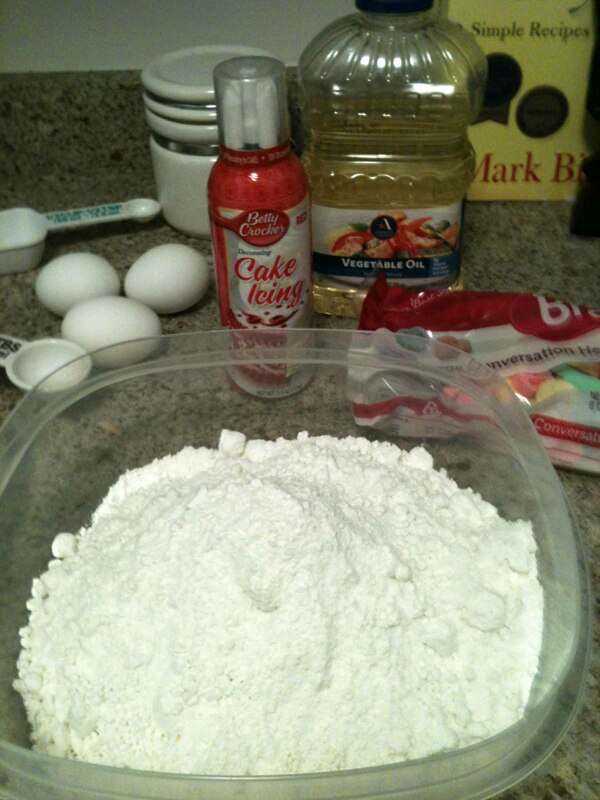 ♥In a medium bowl, add cake flour, baking powder, baking soda and salt. ♥Add eggs and beat 10-20 seconds. 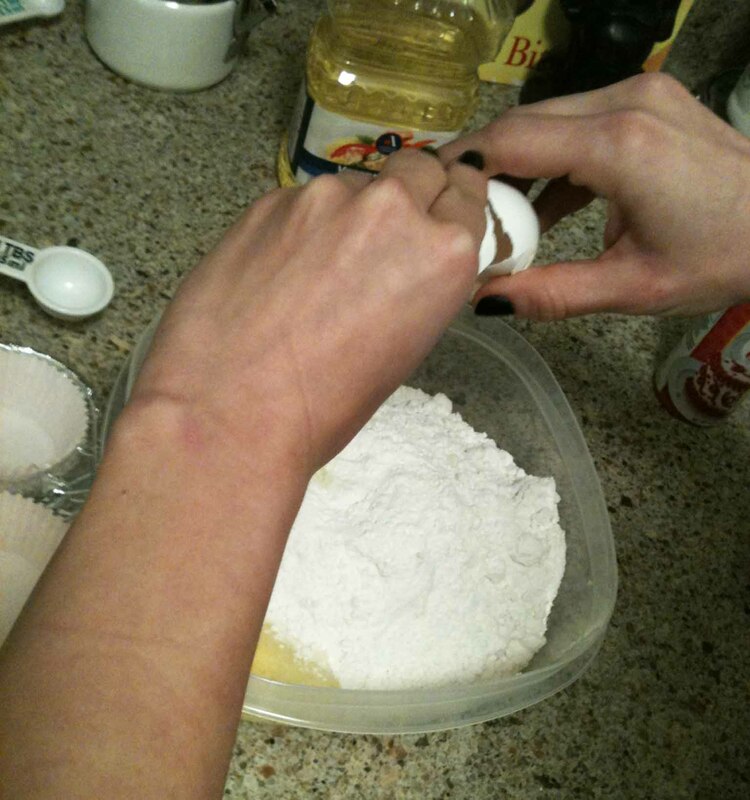 Add sugar and continue to beat on medium speed about 30 seconds. Add vanilla and oil, beat. ♥ Reduce mixer speed to low. Add the buttermilk. Beat until combined. 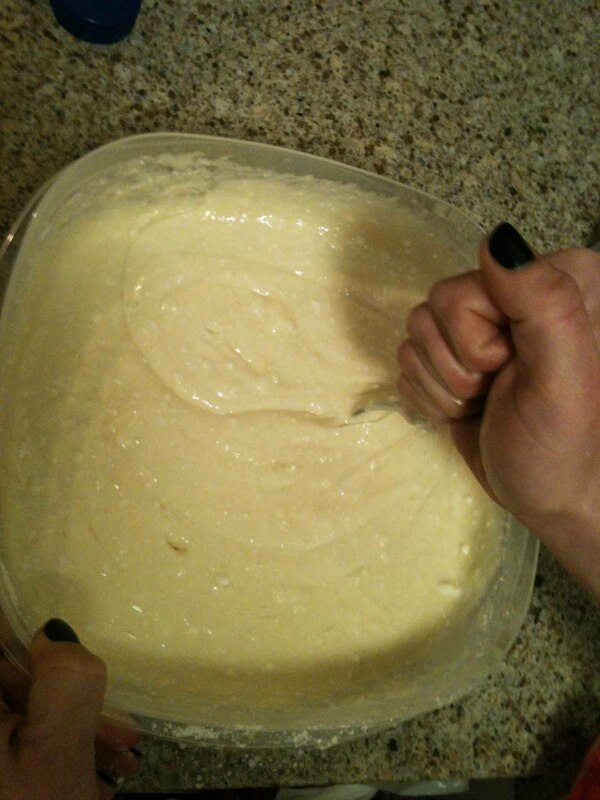 ♥The batter will be thin. 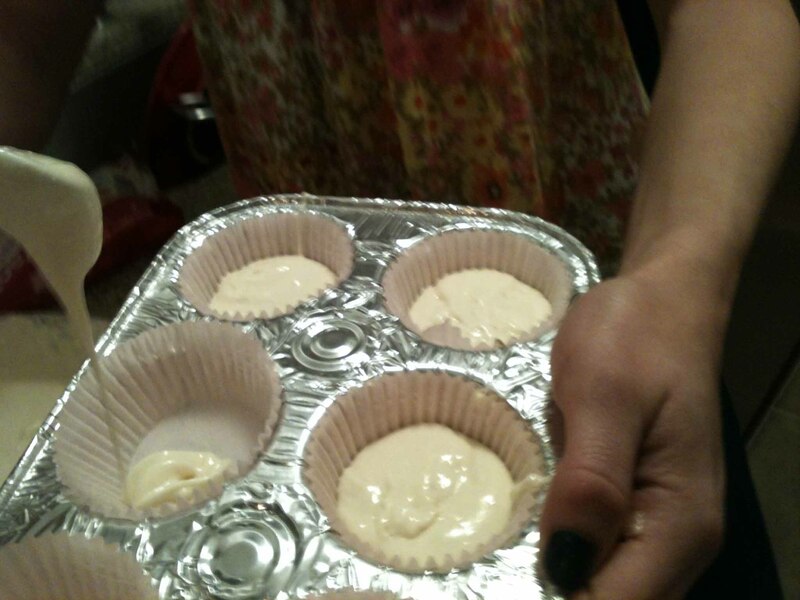 Pour batter into a muffin pan prepared with paper liners. Fill liners about 2/3 full. 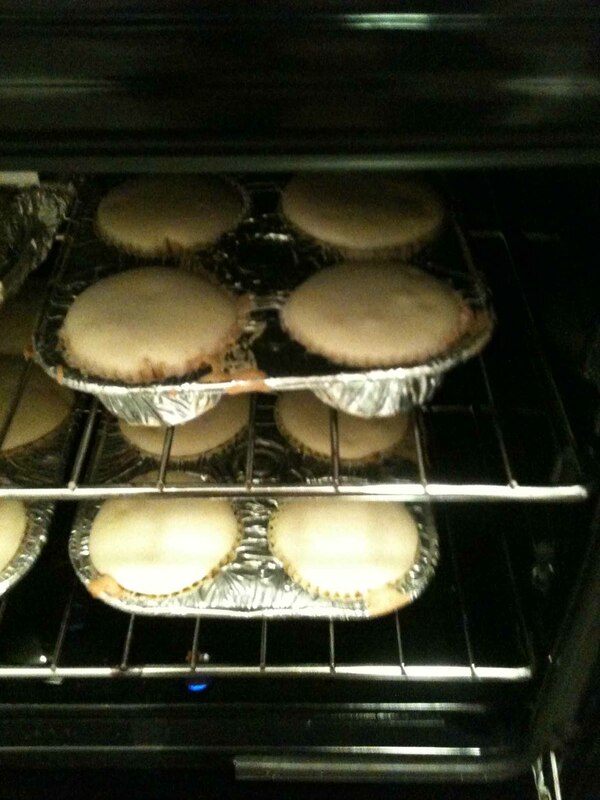 ♥Bake cupcakes in pre-heated oven for 12-14 minutes. 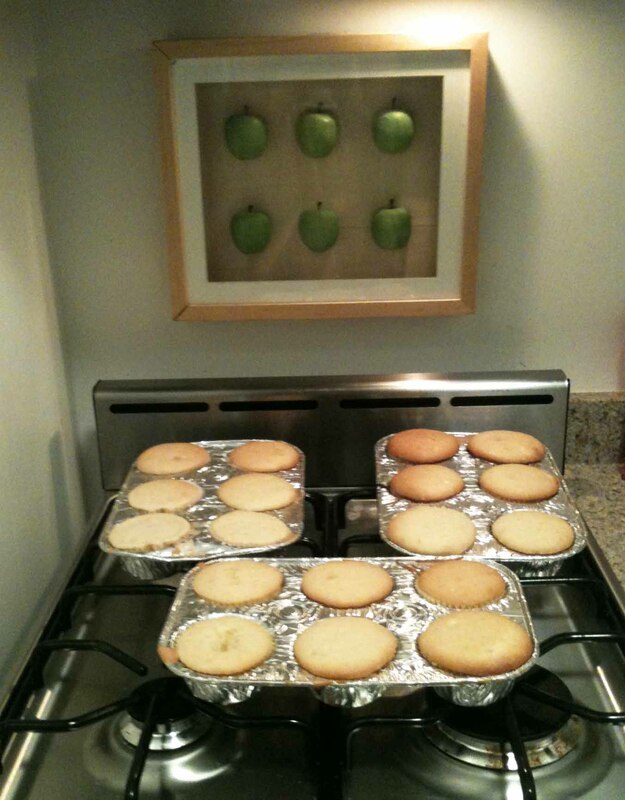 ♥Cool in pan 1-2 minutes, then remove cupcakes from pan (carefully) and finish cooling. ♥Frost as desired when fully cooled and give to loved one! 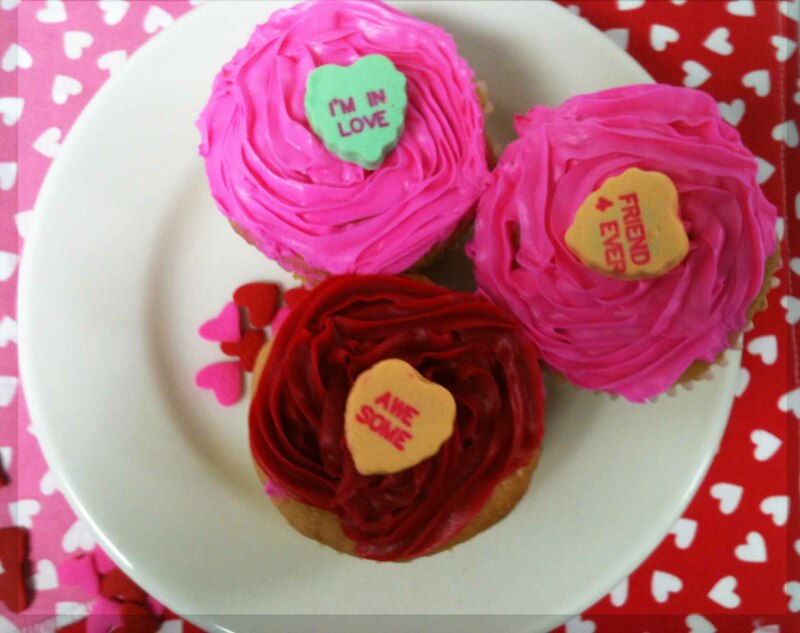 ♥Present your Valentine Day cupcakes in the perfect setting!! 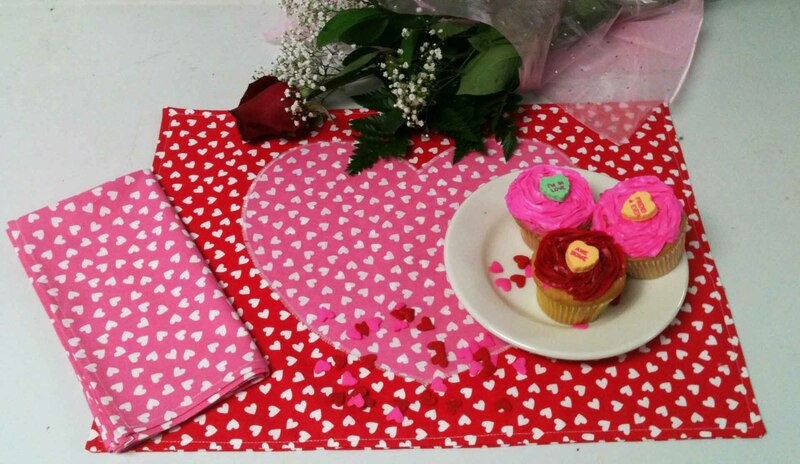 ♥Make the ideal Valentine’s Day placemats and napkins with Windham Fabrics Basic Brights heart fabric. Set the right scene for your loved ones and throw in a rose to finesse your table setting!! This year I will be doing something fun. My grandchildren will be coming over the weekend and we will be making Sugar Heart Valentine shaped cookies. They range in age from 2 -16 and all get along with each other. I got the idea from a dear friend of mine Alma Allen who is fabric designer too. This idea is shared on her blog spot along with the recipe. Here is the twist; you know how when you bake cookies in a particular shape and many times when they come out of the oven they really aren't the shape you started with. Take your cutter and re-cut the baked cookie and now you have "Cookie Fries", genius idea! 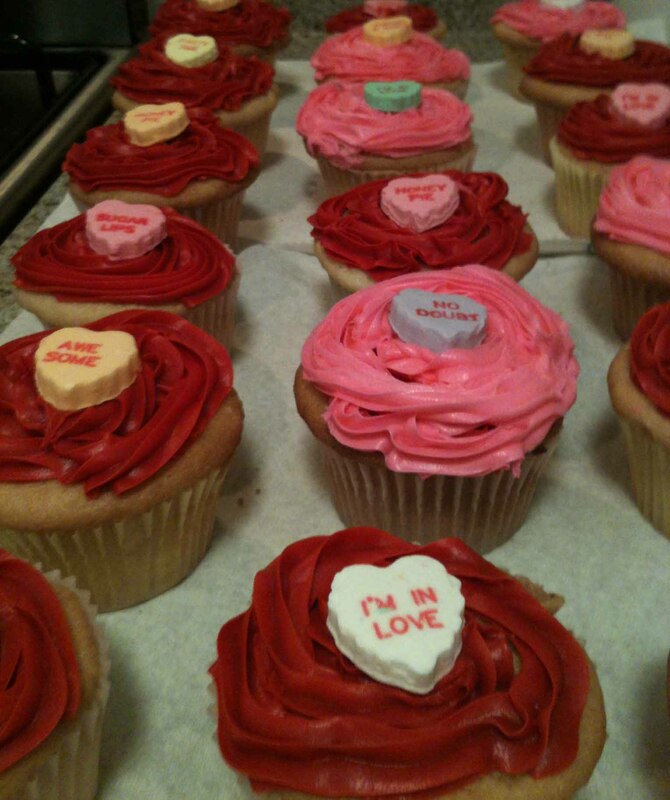 You frost them put them in a glassine bag and big and little kids have a really fun Valentine Treat. Now go back to your original cookie and frost, here is the other twist. Cut a template of the cutter out of quilter’s templastic punch holes in the template frosts with the frosting you paint on with a little paint brush and make your design with your colored sugars or other neat decorative pariels available in stores. I think it is worth exploring and I know you will all enjoy this great treat. I plan to make a real good dinner for my 2 favorite boys: my husband and my boy August.I do not plan to make a thing…I will make an experience that we can share together..and we all love yummy food. I usually just buy my wife a box of chocolates as her birthday is the next day- that's the day I need to take a little more seriously! For Valentine’s Day my family and I make a home cooked meal together. I'm thinking shrimp cocktail and herb crusted salmon. Sweet wishes to everyone. ♥Brian Haggard – New designer at Windham, collection coming soon!! I think a love letter printed on a sheet of 8 ½ by 11 fabric on the computer would mean more than a hallmark card from the corner store, and on the reverse side a picture of my one and only with my hand embroidery. I hope this helps, it sure made me think now I must go make mine. Heartfelt thanks to you for making me give it some thought. 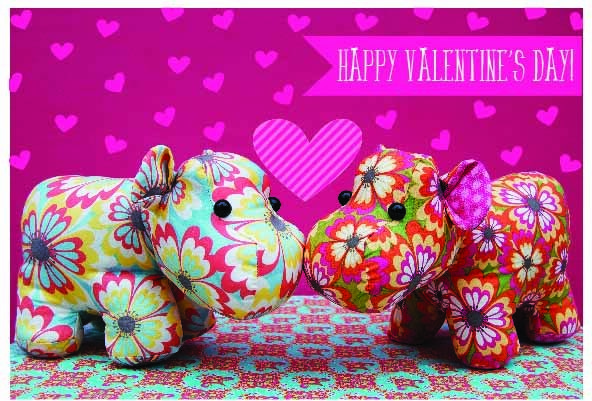 Leave a comment and tell us what your plans are this year for Valentine’s Day!! I plan on going to dinner then walking along the waterfront. That sounds like a perfect night to me! !